Life insurance provides a lump sum payment in the event of death. To help you compare life insurers, we have outlined information about all our insurance providers below. For life insurance quotes and comparison rates, please use our life insurance calculator. AIA New Zealand is part of the AIA Group Limited. AIA Group Limited and its subsidiaries (collectively "the AIA Group" or "the Group") comprise the largest independent publicly listed pan-Asian life insurance group in the world, with a broad footprint spanning 15 markets in Asia Pacific. The Group traces its roots in the region back more than 90 years and has total assets of US$107.9 billion. The AIA Group meets the protection, savings and investment needs of individuals by offering a comprehensive suite of products and services covering accident and health insurance, life insurance and retirement planning. It also provides employee benefits, credit life and pension services to corporate clients. The AIA Group has an extensive network of more than 260000 agents and over 21000 employees across Asia Pacific. AIA serves the holders of over 23 million individual policies and over 10 million participating members of group policies. The AIA Group is a market leader in the Asia Pacific region based on life insurance premiums, and holds number one positions in six of its geographical markets. Due to its historical roots in Asia, the AIA Group has built a network of mainly wholly-owned businesses operating as branches or subsidiaries. Only in India, where legislation restricts foreign ownership of insurance companies to 26% is the Group's main operating unit a joint venture. Asteron, previously Royal & Sun Alliance's financial services arm, has roots that trace back to 1833. In both Australia and New Zealand a long history of acquisitions and successful integration of businesses has contributed to the solid heritage that will support Asteron now and in the future. Today Asteron is one of the largest financial services providers in Australasia with around one million clients. Asteron has more than $5 billion in assets under administration and management and $25 billion in assets under supervision. Now as part of the Promina Group, Asteron is supported by a strong financial base, enviable industry expertise, a focused business model and the opportunity to leverage complementary tailored products via recognised brand leaders in Australia and New Zealand. 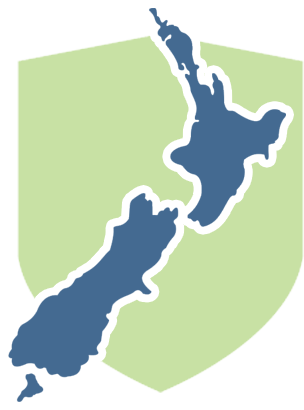 We're a 100% New Zealand-owned and controlled life insurance and investment company - the largest in New Zealand. Established in 1973 as New Zealand's first insurance company to deal exclusively through external advisers, Fidelity is privately-owned company with a head office in Auckland and offices in Wellington and Christchurch. Our founding vision to provide New Zealanders with quality independent advice and locally-created solutions to their insurance and investment needs remains to this day. In an industry of continual change our stable New Zealand ownership and control is unparalleled. We are proud to have retained this independence for clients, advisers, suppliers and staff. OnePath is New Zealand's largest manager of retail investment funds including KiwiSaver (FundSource: September 2010). We also hold a leading position in the insurance and wholesale investment markets. In New Zealand, OnePath is a wholly owned subsidiary of ANZ National Bank Limited, which is part of ANZ Group.When you do business with OnePath, you are dealing with a respected company whose history of achievement demonstrates we have the expertise to partner you in your journey towards financial well-being. Specifically, our aim is to help you reach your financial and lifestyle goals through the accumulation, investment and protection of assets. OnePath has a Standard & Poors financial strength rating of A. Established in August 2010, Partners Life is a fresh, innovative, New Zealand Life Insurance company offering a full range of life risk products for the protection of New Zealand families and businesses. Products include life insurance, income protection, medical insurance, disability insurance, trauma cover and business risk protection. Over time, Partners Life aims to offer a comprehensive range of financial services products. Sovereign was established in 1989, creating a new style of life insurance and investment company in New Zealand. In December 1998, Sovereign became part of the ASB Group of companies, which is in turn part of the Commonwealth Bank of Australia Group (CBA). Today, Sovereign provides a comprehensive suite of life insurance, investment and home loan products. As well as being New Zealand's largest life insurance company, Sovereign is the largest home loan lender outside the four major trading bank groups. We meet the financial service needs of over half a million customers.